OMNI Solutions’ unique line of smart housekeeping concentrates offers operational efficiencies and cost saving solutions. 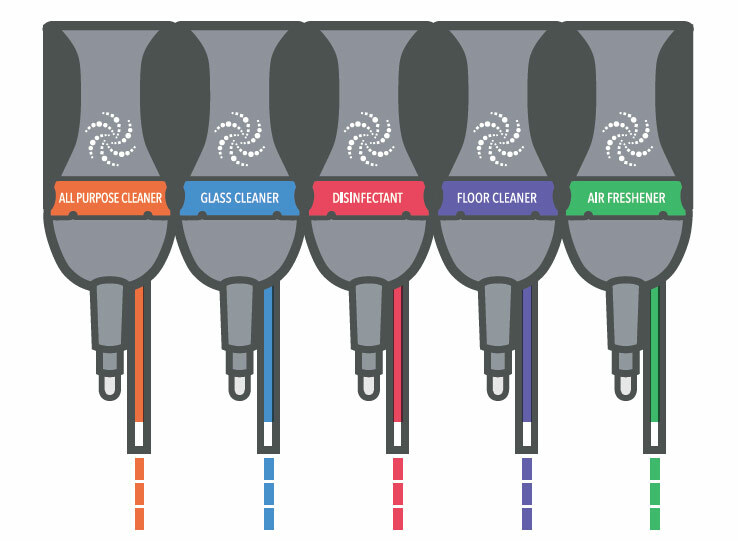 The consistent, accurate and safe dispenser system disperses OMNI Solutions’ proportioned cleaning solutions, reducing waste, spillage and misuse of the products. Cleaning solutions are easily dispensed into a spray bottle or bucket, and savings are realized with less money spent on shipping the water component of ready-to-use cleaning products and packaging. Further, by refilling receptacles, the need for storage space is greatly reduced and less plastic is going into our landfills.